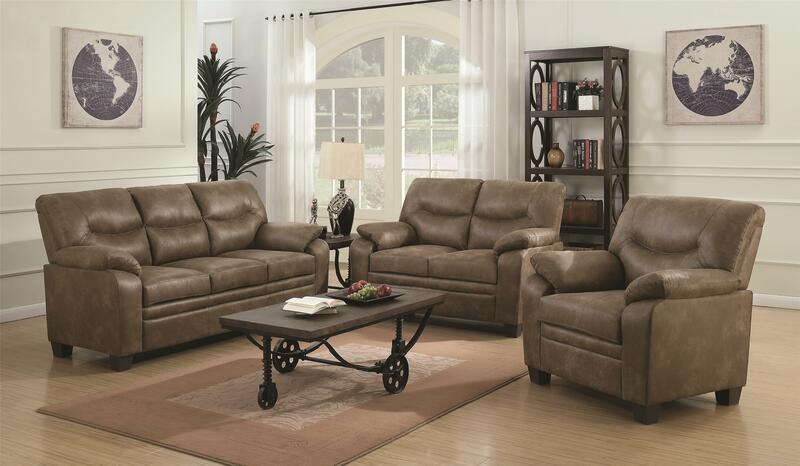 Sit down for some relaxing time at home in this ultra comfy plush sofa. This group is not only affordable but also includes attached back and seat cushions, pocket coil seating and lots of thick padding for an extra comfortable sitting experience. To add to the feel, is the unique upholstery of the coated microfiber bomber jacket fabric. Small scale seating great for apartments and condos.